A whole new group of strangers moves into the Big Brother house and begins the battle for $500,000. This Summer, the houseguests will be enticed by more temptations and face more consequences than anyone in the history of the game. A house guest is evicted; the head of household competition begins. The two new heads of households move into their rooms and nominate two house guests for elimination; competition commences. The first four evicted house guests compete tonight in the "Battle Back'' competition, the last evictee standing will return to the game for another chance at the $500,000 prize. How will the house react when Cody returns? Plus, who will rise to power as the new HoH and which two houseguests will be nominated for eviction? Will the PoV be used to save Ramses or Josh? Plus, is another blindside brewing? Tonight the 4th Eviction of the summer will be seen and the 5th HoH competition will also air live. The 1st ever Temptation competition will be played tonight then the 5th Head of Household (HoH) that was won by Paul on the last episode on Thursday will have to select 2 houseguests to be placed up on the block pending their eviction from the house. The 5th Power of Veto (POV) competition of the season will be seen on the show tonight. Tonight the 5th Eviction of the summer and the 6th HoH competition will both air live. Tonight the 2nd Temptation competition and the 6th Nomination ceremony will both play out. The 6th Veto competition of the summer will be shown on tonight's episode. Because Jessica used her power to stop the eviction ceremony last Thursday night no houseguests left the hose therefore the 5th Live Eviction will happen tonight instead and the 7th HoH competition will begin. Tonight the 3rd and final Temptation competition of the summer will be held with the loser becoming the 3rd houseguest to be placed on the block and then the new HoH will select 2 houseguests to go up on the block. The 7th Power of Veto competition will be contested tonight and we will see if one of the 3 nominated houseguests is removed from the chopping block? 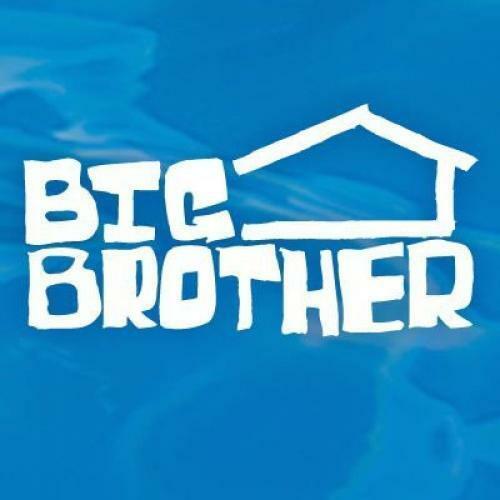 Tonight is the 1st double eviction night of the summer where the house will play an entire week of Big Brother in just one night. It's an extra day of cray-cray as former Big Brother winner Derrick makes a surprise appearance. Who will be the new HoH, which new temptation will be released, and how will it affect who goes on the block? Who will win the Power of Veto and will it be used to save either Jason or Matt? Plus, Zingbot, the sultan of insult and the king of zing is in the house! A floater and an outsider are on the block, and a live eviction will decide who leaves and who gets to fight another day. With nine evicted and eight remaining, the Houseguests hang on for dear life to become the next HOH. One pair is running the show as the Houseguests compete in a high-stakes battle to stay in the game. Who will win the Power of Veto and will it be used to save either Matt or Raven? The last of the showmances is being ripped apart, but the unlucky lovers won't go out without a fight as the fallout from the Veto meeting sends the house into turmoil. With three weeks left and another double eviction coming up, the Houseguests find themselves racing to the finish in the final stretch of the game. The Houseguests compete for the Power of Veto in a special competition hosted by Bobby Moynihan. The Houseguests are in double-trouble when another live double eviction shows who is pulling the strings and who is merely a puppet. Who will win the Power of Veto? And will it be used so save either Alex or Kevin from eviction? Plus, it's a surprise eviction, who will be next to head to jury? Find out who Paul will nominate for eviction, who will win the final Veto competition of the Summer and which houseguests will make it to the Final 3. The battle for the final HoH begins. Plus, Josh, Paul and Christmas celebrate the best moments of the Summer including tons of moments you haven't seen. The last battles, the last eviction, and the final live vote determine the winner of the $500,000. Also, the winner of 'America's Favorite Houseguest' is announced.